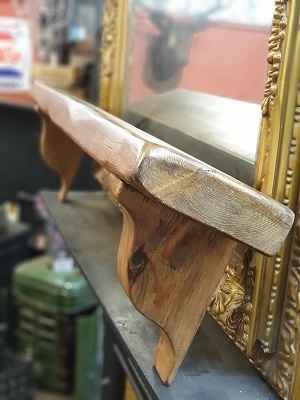 This handcrafted overmantle is made from reclaimed timber with a feature steel rail between corbels. Made by local craftsman. 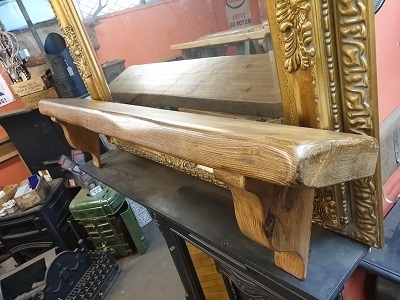 These overmantle can be made to any length and in a variety of finishes, please call 01202 579222 for details.